Kawartha means "shining waters" and is a mostly rural area with an average of 24 people per square kilometre. Although it's a popular vacation destination, our Kawartha cottage rentals offer quiet peacefulness that is hard to find elsewhere. It's very easy to be emmersed in nature in Kawartha. Cottage rentals are very reasonably priced and can easily accomodate your entire family. Click the links below to view our Kawartha cottage rentals today and find the perfect vacation accomodation for your next trip. Good clean swimming, rock retaining wall, 4' deep at the end of the dock. Kawartha cottage rentals from cottage connections are perfect for you. The cottage has both a wade-in area and a swimming area off the dock into 6 feet of water. There are some weeds off the dock and the wading area is a mix of larger rocks and sand without weeds. There is sand in the beach area.. Kawartha cottage rentals from cottage connections are perfect for you. Clean, weed free swimming. Sandy beach with gradual entry. 4 - 5 feet deep at end of dock. Dock has patio furniture.. Kawartha cottage rentals from cottage connections are perfect for you. Sandy beach area, great for the kids! 5' deep at the end of the dock. 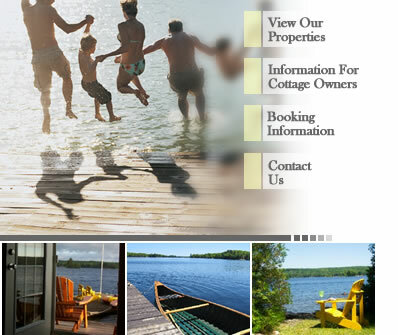 Kawartha cottage rentals from cottage connections are perfect for you.